Having a lot of plugins on your site can be a bit overwhelming sometimes. 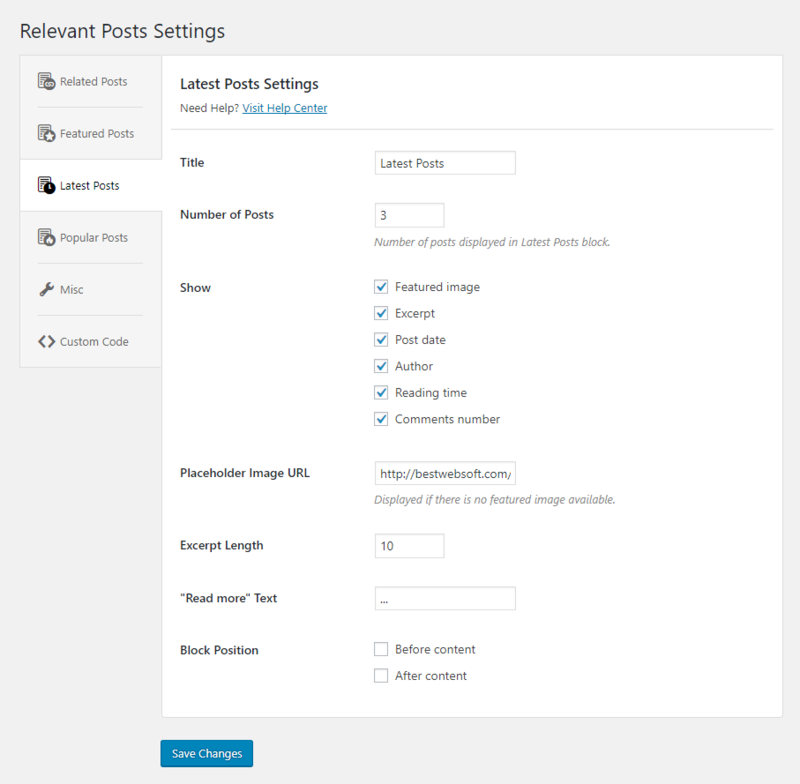 Until now, there were four plugins allowing you to add related, featured, popular, and relevant posts on your WordPress website in order to provide your readers with relevant info. From now on, all this functionality is included into one plugin – Relevant – Related, Featured, Latest, and Popular Posts. Even though there are a lot of features and options, plugin settings are clear and user-friendly, so you won’t be lost in them. 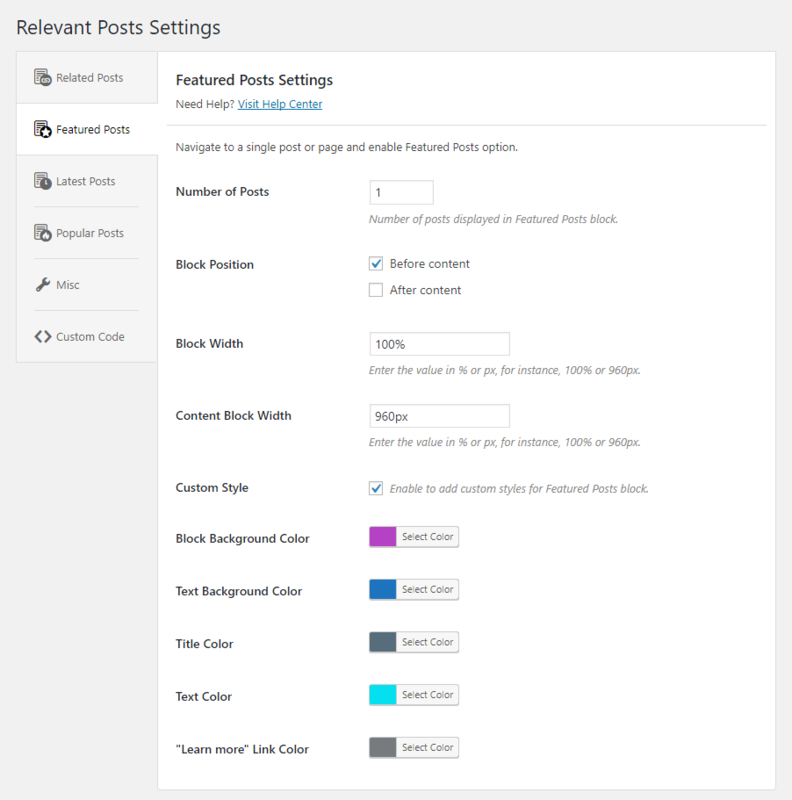 The settings page is divided into convenient sections where you can manage the necessary posts. For all posts, you can change the title, the number of posts, and block position. Apart from that, each section provides different options depending on the type of blocks. 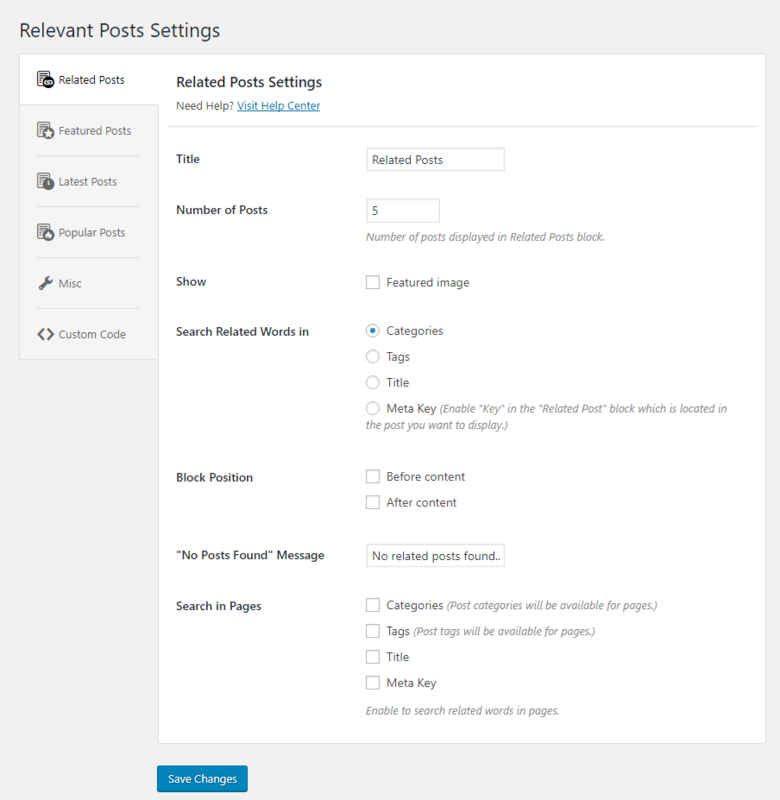 Set searching for related words, show or hide featured image, configure search in pages. Settings of this section provide a wide range of customization options: set the Block Width and Content block width, mark “Custom Style” checkbox and set colors for block and text background, title and text, and even for “Learn More” link. 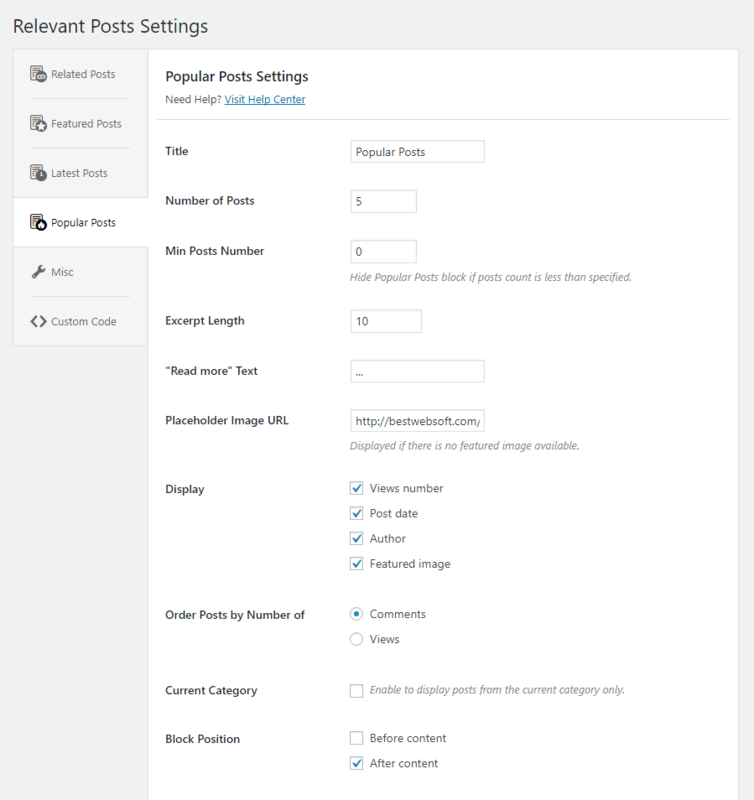 Set the number of posts displayed in Latest Posts block and select what additional info you’d like to show in it. Also, you can set latest posts displaying from a certain category. Select what additional info readers will see (like views number, post date, author, featured image). Order posts by number of comments or views. All features are totally free, so anyone can use this plugin on an own website in order to highlight certain posts in desired way and provide all the necessary info for visitors.